04/12/2019 - NEW UNEEK FAMILY “UNEEK EVO” 4.12(fri) Release!!! 02/14/2019 - LCS R 1921 T"mita sneakers Direction"
02/12/2019 - Reebok "SOLE FURY"
10/22/2018 - Zoff "Future Tokyo Vision SPY"
09/19/2018 - MOLTON BROWN LONDON "PRETTY BOLD"
09/04/2018 - Asprey "2018 For her & For him"
07/21/2018 - YSL "MAKE IT YOURS"
06/29/2018 - THE GUILTY PARTIES WACKO MARIA HIGH TIMES RELEASE PARTY "JUL 6th"
06/15/2018 - "UNEEK” MADE IN BEAMS"
06/04/2018 - Vetiver Grapefruit"MOLTON BROWN"
05/31/2018 - HONEY CANDY "kale de kale"
04/27/2018 - Adidas Originals "Atric"
04/27/2018 - LAZY SUSAN "Antonia's Flowers"
04/06/2018 - 200years of American Style "Brooks Brothers"
04/04/2018 - Wowma! Present Campaign! 03/25/2018 - UGG "FLUFF sandals" "Beach sandals"
03/19/2018 - MoMA Design Store　"SAKURA"
03/19/2018 - SAKURA "TIGERALLY" "MEXICO66"
03/15/2018 - AMO'S STYLE by Triumph "Dress"
03/12/2018 - TASAKI "MAGOKORO JAPAN 2018"
03/12/2018 - URBAN RESEARCH "2018 SPRING & SUMMER"
03/09/2018 - MoMA Design Store "PAPER EDEN"
03/05/2018 - Timberland　"3-Eye Classic Lug 40th anniversary"
03/04/2018 - MoMA "Yoshitomo Nara"
03/04/2018 - BVLGARI ROMA"ROSE GOLDEA"
02/22/2018 - NewBalance Made in U.K "30th ANNIVERSARY"
01/24/2018 - RISING of LOCAL YOUTH "BEAMS×CAMPFIRE"
01/19/2018 - TAG HEUER "Connected"
12/15/2017 - G-Star RAW Research. 11/21/2017 - PIERRE HERMÉ AOYAMA 1er anniversaire「Bon appetit les gourmands! 11/18/2017 - adidas × Telecom Lifestyle Fashion B.V.
11/18/2017 - ALLSAINTS "COME TOGETHER"
11/14/2017 - RED SHOES 15th Anniversary Ticket PRESENT!! 10/30/2017 - Rouge Dior Couture Collection "PRECIOUS ROCKS"
10/25/2017 - THE BODY SHOP "SHINE BRIGHT"
10/19/2017 - Amazon Fashion Week Tokyo 2018 S/S "ELZA WINKLER"
08/23/2017 - SUPERGA "IVAN LENDL"
08/03/2017 - ICE ESPRESSO "TULLY'S"
08/03/2017 - 20 POSTERS "OTOMO KATSUHIRO"
07/24/2017 - le coq sportif ×KICKS LAB. 06/14/2017 - CHROME　"2017SUMMER LOOK"
06/13/2017 - BVLGARI "La Crema"
06/13/2017 - ANNICK GOUTAL "Petite Chérie"
06/05/2017 - GAGA MILANO "Neymar Jr "
05/30/2017 - BVLGARI"Goldea The Roman Night"
05/18/2017 - VanMoof "Electrified X"
11/12/2016 - "We Believe Terroir Matters"
11/06/2016 - 「LIMITED STORE X」 Cassina ixc. 10/31/2016 - SEIKO "GIUGIARO DESIGN"
10/06/2016 - 『CRISTA』 27th Oct OPEN! 10/04/2016 - FREITAG STORE GINZA "F204 COOPER"
09/16/2016 - Meet the Ultimate Dom Pérignon, P2 Plénitude Deuxième. Touched with plenitude. 09/12/2016 - 2016 Autumn / Winter G-Star RAW　What is RAW? 07/18/2016 - FILA ORIGINAL MOVIE! 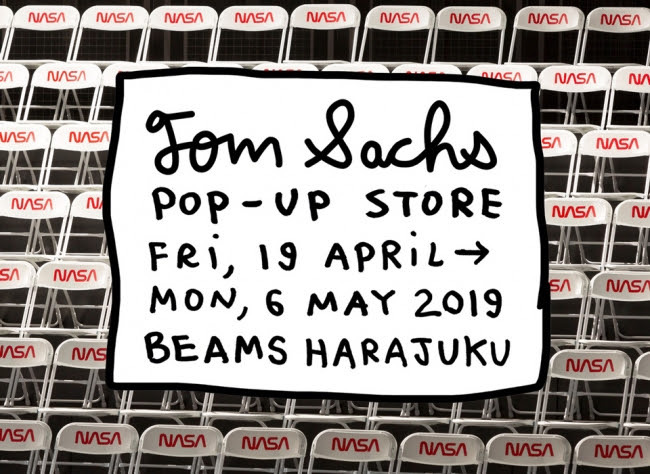 06/30/2016 - BOOKMARC "TAKAY “ECHOS” EXHIBITION"
05/29/2016 - LOUISE KRAGH "Limited Shop"
05/27/2016 - adidas Consortium Tour × JUICE "JUICE Stan Smith"
05/25/2016 - T.Y.HARBOR BREWERY　"EL CAMION"
05/24/2016 - BURBERRY "Eye Colour Contour"
05/16/2016 - Park Hyatt "Girandole"
05/06/2016 - SEATTLE'S BEST COFFEE "Burnt Caramel"
03/31/2016 - Reebok CLASSIC "FURYLITE"
03/31/2016 - MOSCHINO Releases Fragrance "FRESH"
03/28/2016 - MCM×TOBIAS REHBERGER COLLABORATION POP-UP SPACE!!! 03/24/2016 - PLAZA × LeSportsac　"Party Pennant"
02/02/2016 - mouse on the keys "Live at Red Bull Studios Tokyo"
08/24/2015 - "MAISON LESAGE" × "LACOSTE"
07/17/2015 - KENDRICK LAMAR * Reebok CLASSIC "VENTILATOR KL"